With snow finally melting, green shoots shooting, and gorgeous blossoms blossoming all around us (spring! it's THE THING!) our minds always turn to bees. After all, we count on the warm, sun-gold light and meadow-sweet-dream-scent of our Old Mill Beeswax candles to get us through the longest, darkest winters, so when the real deal sunshine-and-meadowsweet are nigh upon us we can't help but thank and bless the hard-working-ladies who make it all possible. At The Foundry we love bees and we love beekeepers. Our sister's hives swarmed on her wedding day—a cyclone of love and honey in the long light of a solstice afternoon. In late summer, when wild forage can be hard to come by, bees cover the open-centered dahlia varietals that Anna's mom grows over at Two Pony Gardens. 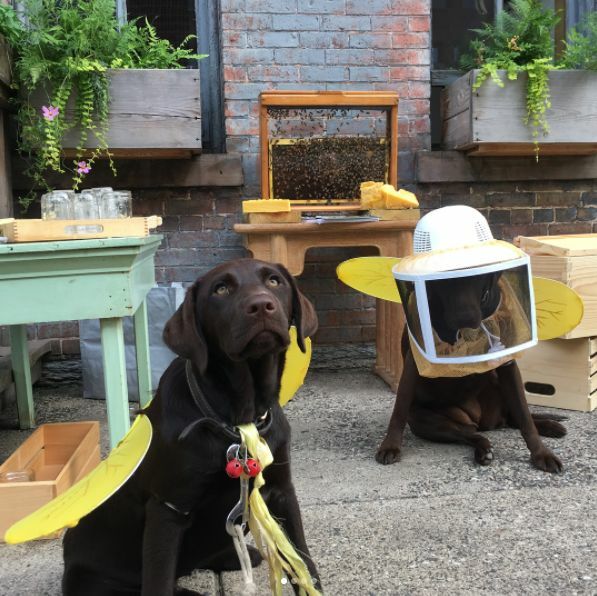 We relish visits from Kate, the incredible mama-beekeeper behind Old Mill's fourth generation organic apiary, and love to see her coming on her special beeswax-delivery-bike, with her sweet little worker bees, Berit and Audra, in a burley in the back. 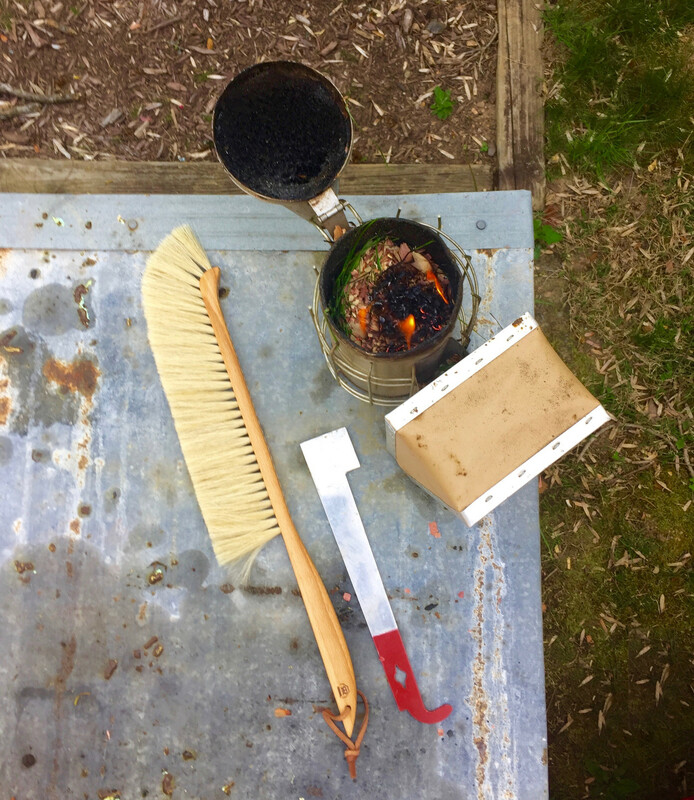 Our wordsmith, Susannah, keeps a small apiary at her farm in the southlands and we special ordered her a German horsehair bee brush—based on a 1908 design—ideal for use in getting bees off of honeycomb ready for harvest or for prepping a hive for a split in advance of a swarm (we don't currently carry bee brushes in-store, but we'd be happy to special order one for any beeks interested in upgrading their equipment...Susannah says using this brush is an absolute pleasure). A pastime requiring beautifully made, hyper-specific tools? Sounds like fun to us! We love plants and animals and sunshine and flowers and fruits and vegetables so, naturally, in the order of things we love bees. KEEP BEES: The best way to save bees is to keep bees. 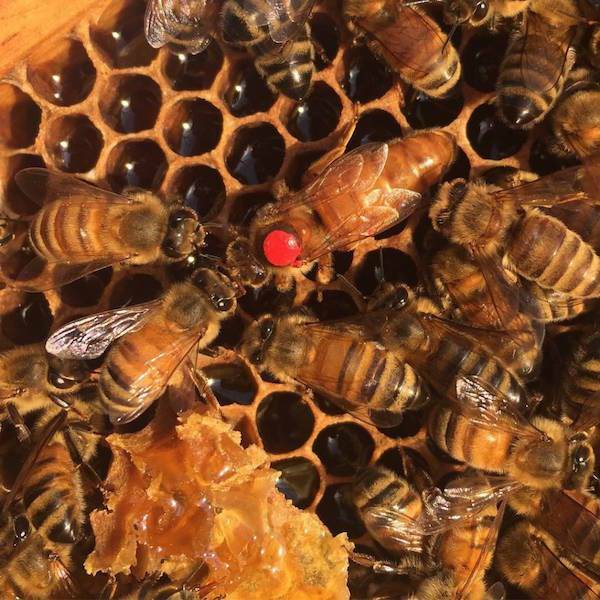 As environmental factors decrease the viability of wild honeybee colonies, managed hives are a 1:1 solution for having more bees in the world. Plus: honey! science! magic! As of 2009, beekeeping is legal within Minneapolis city limits and there are some excellent local resources, like The Beez Kneez, for new beekeeper education and outreach. Join a club, take a class, get a mentor, and dive in! BUY LOCAL (HONEY! ): In addition to being delicious and having many purported health benefits, buying local honey supports your local beekeepers. More solvent beekeepers=more happy bees. BUY LOCAL (PLANTS! ): Populating your garden with pollinator-friendly plants is an easy (and lovely!) way to increase forage for bees. Knowing that bees love hyssop, columbine, and indigo, salvia, sage, and coneflower is a great start but where you buy your plants matters. Many of the varietals tagged "pollinator friendly" and sold at large nurseries or big box stores have been treated with deadly neonicotinoid insecticides. Buy plants locally, talk to your growers about your concerns, and tell them you won't purchase treated plants. We love Prairie Moon Nursery in Winona, and, if you can't get down there, they're a great online resource for wild and wonderful pollinator plants that thrive in our climate. And, of course, our neighbors just up the street Tangletown Gardens are aces at sustainable plant sourcing and working garden miracles. PUT AWAY THE MOWER: Bees often prefer nectar-rich wild growing flowers to showy town blooms. We've seen them choose a dandelion patch over a blooming riot of peonies too many times to count. If you have any land under your control, even just that little grassy patch out by the sidewalk (or whatever) consider letting it grow wild. Henbit, chickweed, and clover are humble "weeds" that bees love. If you have herbs in pots, consider letting them bolt to bloom. Less mowing/pinching is better for your Saturday and leaving patches of native plants growing wild is better for everyone. If you're worried about what the neighbors might think about any unkempt zones, put up a sign that says "Pollinator Habitat" and use it as a chance to start a discussion about easy ways to do good. It all has to start somewhere. VOTE: Minnesotans have long supported protections for pollinators. In 2015, our Senator Klobuchar championed the planting of milkweed corridors for our precious monarchs. Beekeeper Kate's dad is an apiarist who works with the state to help write pollinator-policy (pollicy?). 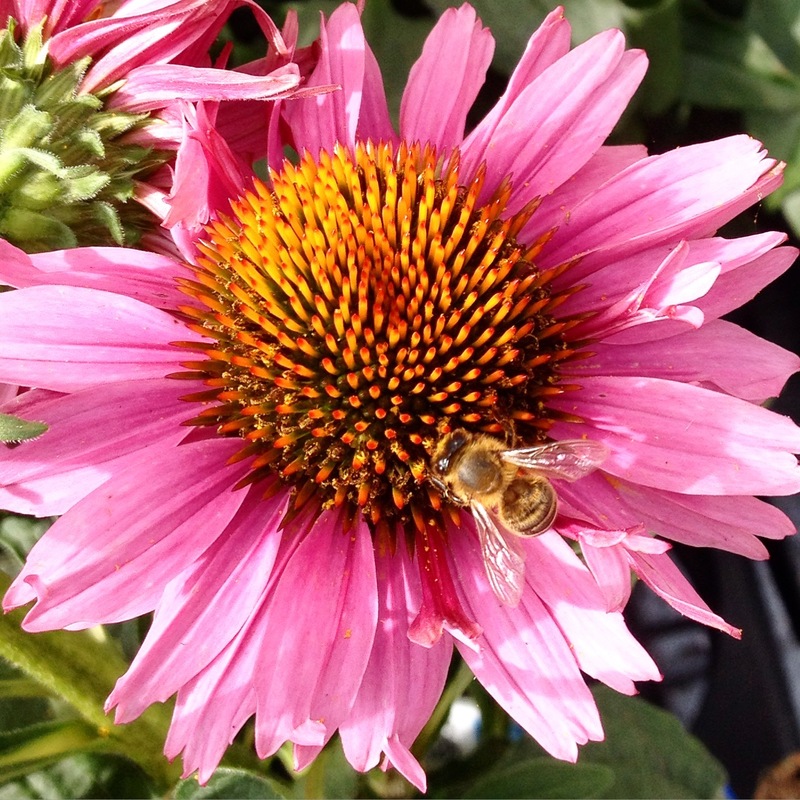 Does your representative support protections of honeybees and natural areas? Ask them about it! If they don't, consider showing them how you really feel about it at the polls. At The Foundry we have a certain kinship with bees. After all, what is a hive if not an industrious, tidy, fierce collective of ladies (and a few crucial dudes) dedicated to endlessly futzing in their home to make it as lovely and productive as possible—all under the guidance of a beautifully graceful, all-powerful Queen who effortlessly keeps everyone going with whiffs of her signature essential oil (sound like anyone we know...ANNA??). Here's wishing you a rich season sweet with honey and bounty!